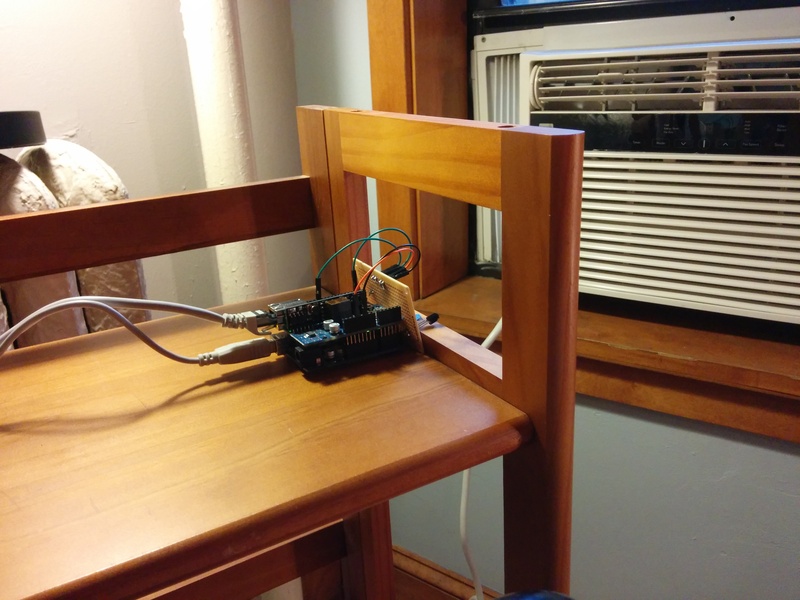 This setup demonstrates a quick and affordable way to web-enable any older air conditioner. Afterwards one would be able to control the air conditioner from their computer or smartphone via a webpage as shown in the video. 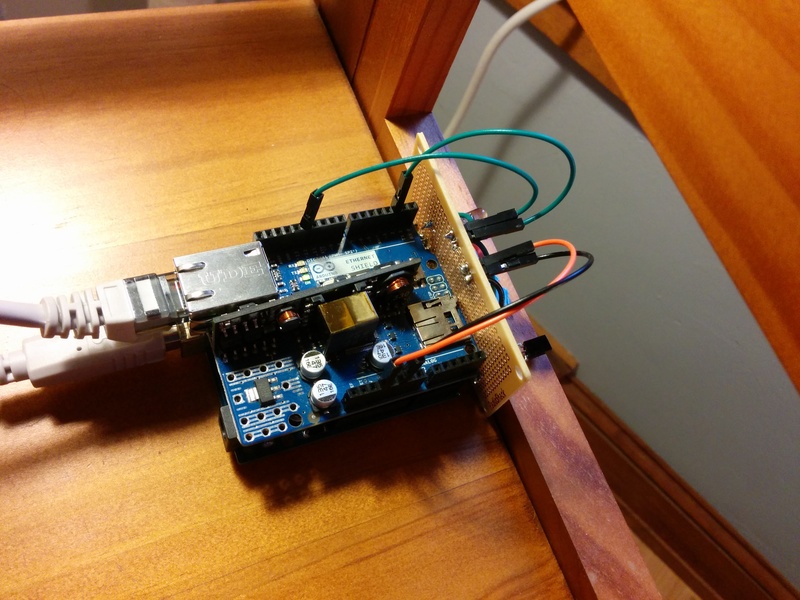 An Arduino with an Ethernet Shield receives the request and sends the corresponding control codes over IR to the AC unit. I incorporated a TSOP38238 IR sensor to record the series of pulse lengths being sent by the original AC remote for each command I needed(power, temp up, temp down). 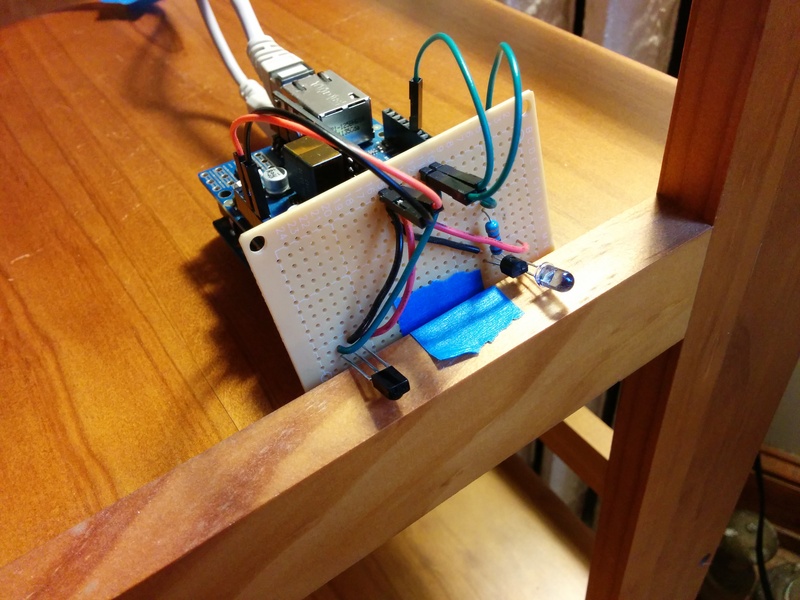 The Arduino, when requested, plays back the 38 kHz pulses through a transistor controlling an IR LED. In this video I’m controlling it from my Android phone viewing the web page being served by the Arduino. You could just as easily hit this page from any other connected device such as an iPhone or computer. Also for ease of testing and later filming, the transmitter is very close to the AC, but it works just as well across the room. Further the phone itself could be outside the home altogether and still control the AC.